Scotland, March 16,2016 — Scotland is recycling more than ever before – and it’s having a positive impact on the environment, according to the latest results revealed today (Wednesday 16th March) of a unique approach to measuring the environmental impact of waste, developed by Zero Waste Scotland. In 2013, the carbon impact of waste in Scotland was 10.8 million tonnes of carbon dioxide equivalent (10.8 Mt CO2e), down from 13.1 Mt CO2e in 2011, when measurements started. The figures show that by recycling more, Scotland is benefiting the environment and have reduced its carbon impact of waste by almost 2.3 Mt or 17% since 2011. Part of the success achieved by Scotland is a new Carbon Metric tool, a pioneering way to measure the carbon impact of waste, not just the amount that is recycled. The latest figures were revealed by Zero Waste Scotland Chief Executive Iain Gulland at the ‘Circular Economy Now’ event, hosted by international network ACR+. The Carbon Metric takes into account the greenhouse gas emissions associated with waste, from the energy and raw materials that went into producing items, through to the impact of transporting materials in order for them to be recycled. It also shows the carbon impacts of managing our waste in different ways, allowing us to compare the benefits of waste management methods such as recycling, composting, anaerobic digestion and re-use. 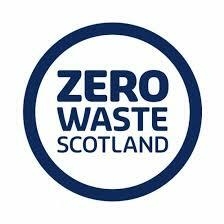 Scotland’s Carbon Metric was first developed by Zero Waste Scotland in 2011. It uses pioneering lifecycle methodology to measure the environmental impacts of waste, which has since been replicated in other parts of the UK and Europe. It considers the full life-cycle of impacts associated with the things we waste, and uses consumption accounting, not just counting impacts that occur within Scottish territorial boundaries. The Carbon Metric will also be important in measuring progress towards the Scottish Government’s ambitious new target to reduce food waste by 33% by 2025. “We’re recycling more than ever before thanks to the efforts of people at home and in their businesses all over Scotland,” said Iain Gulland. “ACR+ strongly supports its member, Zero Waste Scotland, and its work on the development of Carbon Metric which shows that an efficient and smart waste management contributes highly to a low carbon economy,” said Francoise Bonnet, ACR+ Secretary General.